Once again, a misleading title may have diswayed a few people purchasing this entertaining comedy. Anthony Chan is Sun, the eponymous hero who finds that his current life of bliss with fiancé Ching (Mui in a uncharacteristically dowdy role) is shattered when his ex-wife Kong decides to move back after a major financial set-back. Though Sun is adamant that his ex-wife should leave, her partial ownership of his flat means that she has every right to stay with the couple. As Ching sees this rival enter, she resolves not to allow her any hope of regaining the love of the husband she previously jilted. While this rivalry causes obvious vexation to Sun, what becomes even more devastating is when a young suitor begins to fall for his ex. 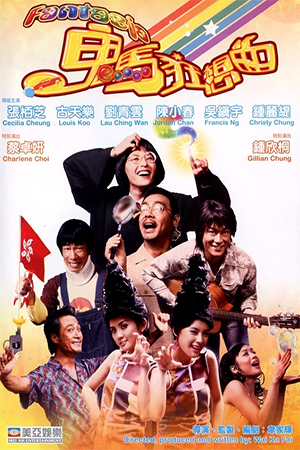 Ching and Kong slowly become close friends, pushing their previous grievances to one side, but the jealous Sun is determined to split up Kong and her new love interest (Bee). 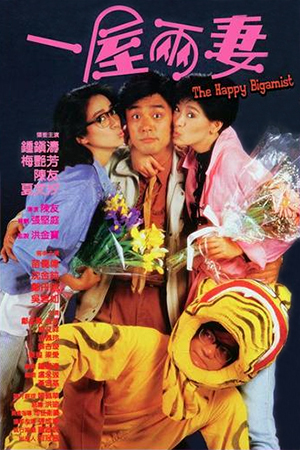 As with ‘Diary Of A Big Man’, ‘The Happy Bigamist’ concentrates on comic farce rather than any great attempt at character exploration. 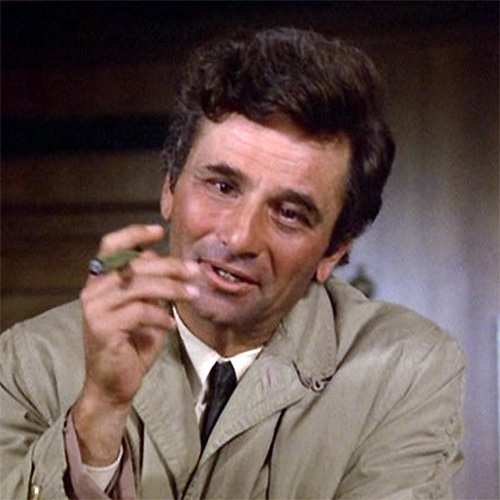 However, in this modest are it once again shows how a heavy dose of genial exuberance coupled with a winning cast can make up for many shortcomings. 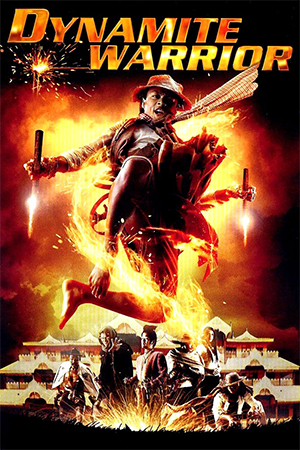 Director Anthony Chan allows this to be a piece that is held together by its four main stars, each one of whom excels in their own unique way. It is the balance of this quintet that gives ‘The Happy Bigamist’ such an energy, yet still creates a few character nuances that help it retain the interest throughout. 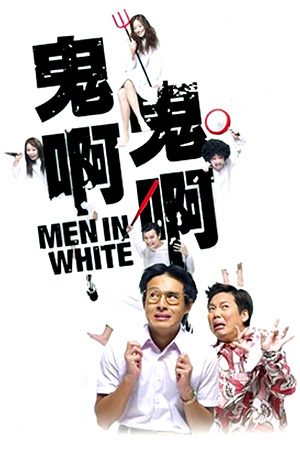 In the lead role, Anthony Chan is an interesting contradiction. Though he starts off as a very sympathetic hero beset by an unenviable situation, the introduction of Kenny Bee’s character adds an interesting side to his persona. As was mentioned, this isn’t intended to be a character-driven piece, but even these gentle proddings are welcome and make a potentially tiresome scenario consistently amusing. Anita Mui – a million miles away from the glamour and beauty expected of her – shows the acting versatility that provides another reason why she is sorely missed. Perhaps the stand-out performer here is the underrated Pat Ha though; she has never garnered the support that her contemporaries enjoyed, but roles like this prove that she was a worthwhile presence. Ha takes an unsympathetic role and turn it into something more palatable. Though I’ve strayed into over-analysis, the fact of the matter is that this is lightweight comedy that mostly amuses. There’s some well-developed comic moments that certainly raise the odd smile, while the atmosphere is infectious.